Injuries to the foot, leg, or anywhere in the body, occur when the forces placed on a tissue exceed that structure’s ability to withstand them. This is true of bone, ligaments, tendons, fascia, skin, nerves and connective tissues. The unbearable forces could be the result of a one-off large force (like a sprain or a badly timed change of direction) or from repeated smaller forces such as running. The focus of a sports podiatrist is on active people who routinely and deliberately put a lot of force through their bodies. These people will often not take advice to “rest for a month” very well. We understand that and do our best to support continued activity while still moving toward healing and repair. Why choose to see us for your Sports Podiatrist Brisbane needs? At Walk Without Pain Podiatry Clinics, we have a number of advanced clinicians with a specialised interest in chronic or complex injuries. At this time, we have one of only seven podiatrists in Qld accredited to use scheduled medicines such as injectable drugs for musculoskeletal conditions. Two more of our team have completed training and await accreditation. We also have what we believe is the only podiatric practitioner of Peri-Neural Injection Therapy in Queensland. This is typically performed by specialised medical practitioners (currently only two in Brisbane). P.I.T. can offer great benefits in complex injuries. Other team members are actively involved in learning this treatment. orthotic devices – hard, soft or hybrid. strapping – which is particularly useful for rapid relief of pain in musculoskeletal injuries. extracorporeal shockwave therapy – best used on chronic injuries. By seeing our practitioners, you will get the best of the podiatric / biomechanical treatment model that focuses on reducing forces brought through the injured tissues, and the medical / pharmaceutical treatment models that improve the ability of the tissue to repair after injury. 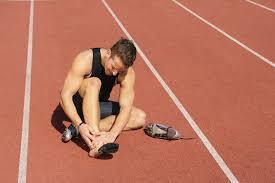 What sorts of things might a Sports Podiatrist Brisbane treat? A lot of things. It could be very simple problems like blistering. It could be common complaints like heel pain, ankle pain, plantar fasciitis, Achilles’ Tendon issues, calf pain, thigh pain, knee pain or hamstring injuries. At the more extreme end, you may be suffering from widespread dysfunction across knees, hips, back and shoulders. If your pain has its origin in the foot and leg, we can help. pain for which no cause has been found on ultrasound , X ray, etc. long standing pain – 6 months or several decades. Is a Sports Podiatrist a special kind of Podiatrist? Yes and No. By calling yourself a sports podiatrist, it lets the world know that you welcome young, fit, active clients. (It may also mean that you intend to charge a premium for this. Our fees are very moderate and can be found on our fees page). Tissues come under stress in young people who push their bodies through sport. On the other hand, they come under stress in very similar patterns in people who carry more weight than their feet and legs can cope with. Both of these states are the result of forces increasing. Ageing reduces your tissues tolerance of forces and that has a similar effect. The principles of treatment for an Achilles’ Tendon injury in a young runner, an overweight sedentary worker and an elderly golfer do vary, but they have more in common than not. You do not have to be a professional athlete to experience the same kind of injuries those elite stars endure. However, one of the main differences between the top dogs and those of us that like to think of ourselves as weekend warriors is the kind of treatment that we can access. When you look into the rates charged by sports podiatrists in Brisbane this puts a lot of those that need to have treatments for their feet off even an initial consultation. The price can be intimidating and so they leave the problem and hope that it will repair in time. The problem here is that while things may return to a level of normality you can bear if the underlying issue has not been addressed, then there will always be problems, aches and pains throughout the rest of your life. Here at Walk Without Pain Podiatry Clinics, we endeavour to bring a world-class level of service and treatments to all of our patients in Brisbane without charging them the earth. Not only are our rates considered much more reasonable and affordable compared to the majority of our competitors, but we can also process health insurance claims in any of our clinics when you drop in with HICAPS. As such, you can access the kind of care that you need without having to stress the financial side of things. At Walk Without Pain, we are equipped to deliver the same kind of care any high-end sports podiatrist in Brisbane offers but can do so in a manner that is cost effective and delivers the same, if not better results. Our team is constantly updating their knowledge of all issues related to feet and so we have the expertise, knowledge and training to deliver physical therapies and have the most up-to-date technologies at our disposal to ensure that our treatment is thorough and delivers results appropriate to addressing the root cause of your discomfort. At Walk Without Pain, we love what we do and are specialists in all matters concerning the feet. Our team of nine specialist doctors has a combined tally of over 87 years’ experience and we have examined over half a million feet. What this means for you as a patient of ours is that your feet will be in the hands of a team that has seen it all and treated it all before. Given our vast and varied experienced you can feel assured that we have solutions to any and all problems related to your feet. One of the main aspects of the work we do that our patients respond favourably to is the follow-up support they receive. We check in with you 3 weeks after your treatment to ensure that things are progressing as expected, and where adjustments are needed we tweak the solutions to maximise your comfort and the speed at which you can recover. So, if you believe a sports podiatrist in Brisbane could be to the difference between enjoying the hobbies and sports you engage in, look no further than the team here at Walk Without Pain. Book your consultation today and let’s get you mobile and back into competition ASAP. Call 3256 1006 and Walk Without Pain!